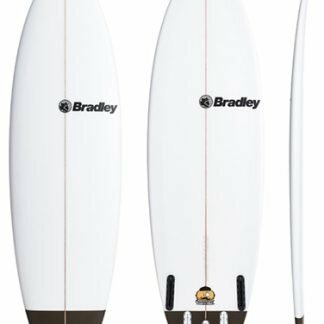 The 7S Double Down is the perfect board to hep you increase your wave count and enhance your smaller wave surfing by giving you all the advantages of a high volume board mixed into a stable and super responsive hybrid design which can be ridden far shorter than your regular short board. Outline: The dimensions at of the nose and tail at 12″ are exactly the same, creating a parallel rail-line through the middle. This means a larger planing zone and a huge sweet spot in the board. 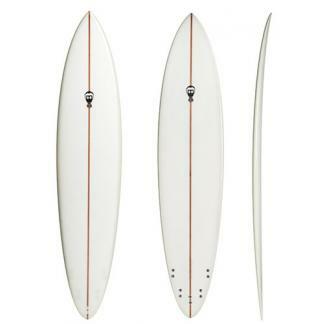 The full nose adds even more stability and the “Corner Round” tail brings more width back, while still creating super smooth transitions between turns that a round tail is famous for. Contours: The subtle and effective contours of the slight up front concave creates heaps of lift when taking off, leading into a double concave starting in the mid zone finishes off with a shallow rolled vee off the tail. This allows the board to maintain heaps of speed in smaller/ softer waves and provides a perfect balance of control & turning. Rocker: The Double Down CV has smaller conditions in mind, flat equals fun. 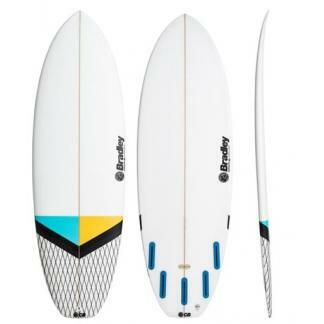 Being the flattest board in the 7S range it slides into waves with ease and is the perfect board for effortlessly maintaining speed over those flatter sections of the wave. Having a slight lift in the nose and tail the Double Down will be the perfect summer groveller board for even the most experienced surfer. Performance: Think summer beach breaks or soft point waves where you need a board with enough foam to get you going, but won’t restrict how you want to perform on a wave. The Double Down is best surfed off the tail, and because of its volume and shorter dimensions, the pendulum weight of a longer board is eliminated making turning super easy. 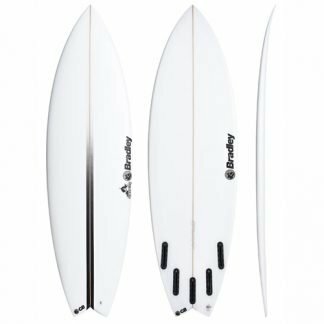 This one will shorten the learning curve for novice riders, but will also appeal to more experienced surfers as great small wave performer. Carbon Vector Construction: Carbon Vector (CV) construction delivers unmatched performance by harnessing the flex characteristics of epoxy and the strength of carbon. CV combines a stringerless, high-density custom shaped EPS core laminated with biaxial fiberglass, epoxy resin and a distinctive carbon fiber webbing, (positioned on the bottom and around the rails). The carbon fiber webbing serves to evenly distribute tension across the entire surface area of the board to produce a lively, yet controlled flex pattern with remarkable memory recall. The biaxial fiberglass on the deck serves to add strength and also help prevent delaminating. CV boards feel fast, light and highly responsive in all conditions.Created by GSI to compliment a range of board models and designs, this construction has proven to have superior flex properties over our other board technologies by up to 20%. 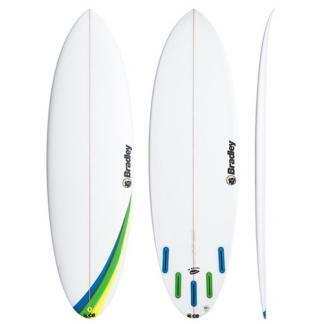 Template: Shorter, wider and fatter than your standard shortboard. Makes the most of the summer swells.